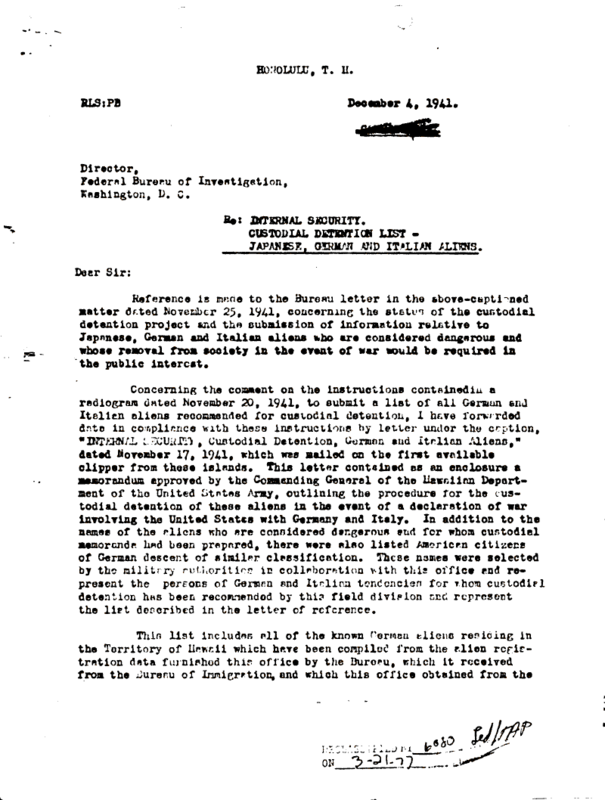 Internment Archives: Letter SAC Honolulu to Director, FBI outlining plans for plans for custodial detention in the event of war. Letter SAC Honolulu to Director, FBI outlining plans for plans for custodial detention in the event of war. Document Notes: A review of plans for handling German, Italian and Japanese alien enemies in the event of war. This doc, sent by clipper, on the eve of Pearl Harbor probably contained the operational plan used by authorities after the attack. An important summary.